The last several years have been a boon to automotive enthusiasts, as automakers find new and creative ways to shoehorn more and more power into their cars. The Dodge Challenger is the poster child for this movement. It started life with just 425 horsepower, but variants such as the Hellcat Redeye and Demon have nearly doubled that number. It’s the same with the Chevrolet Camaro and Corvette. 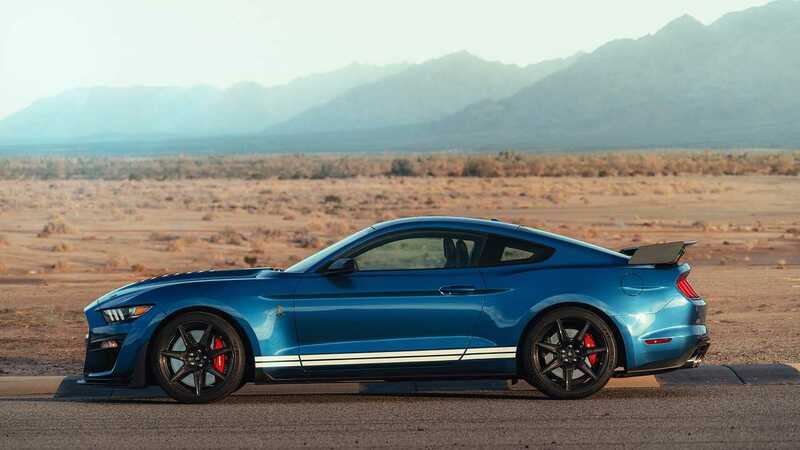 And now, the Ford Mustang is joining in on the fun with the 2020 Shelby GT500. Despite its debut at today’s North American International Auto Show, there’s still a lot we don’t know about the new GT500. While Ford confirmed that the newest Mustang variant will carry a supercharged 5.2-liter V8 and a seven-speed dual-clutch transmission, the Blue Oval is playing coy on the engine's total output. 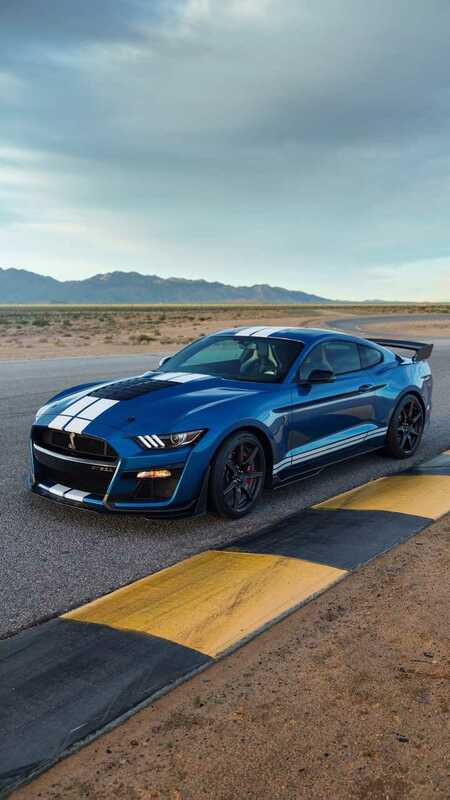 At a backgrounder last week, the automaker told Motor1.com that the GT500 will pack more than 700 horsepower, but said it was still fiddling with the car’s powerplant and wouldn’t have a final output figure until the fall. Ditto torque output. The rumor mill, though, seems to peg power at around 750 horses and more than 700 pound-feet of twist. 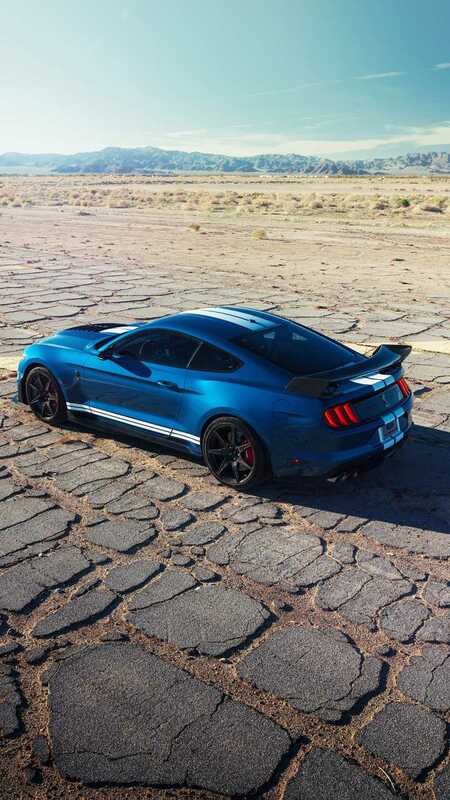 As for Ford, the company is promising a sub-11-second quarter mile time. Meanwhile, the GT500 should be able to get to 60 in the mid-three-second range. What we do know is that this powertrain isn’t some old hunk of iron with a blower attached to it. Ford engineers flipped the 2.7-liter supercharger upside down and somehow tucked the intercooler between the cylinder banks, all in a bid to lower the center of gravity of the all-aluminum mill. There are high-flow aluminum cylinder heads, forged connecting rods, and a trick oil pan with active baffles to keep the engine lubricated through high-G turns – this is a thoroughly modern engine. It also sounds downright angry. Check out the B-roll above, and be sure to turn the volume up. The same is true of the seven-speed dual-clutch transmission. Sporting a rotary shifter, the new Tremec gearbox is the sole transmission offered in the GT500. But why no manual? The answer is both simple and predictable. In fact, it’s the same reason that Ferrari and Lamborghini have abandoned manual gearboxes, and why the new Porsche 911 is launching with a two-pedal setup first – the automatic option is faster. According to Ford, the Tremec seven-speed can execute upshifts in just 100 milliseconds. That's incredibly fast. Complementing the car's straight-line ability is shotgun-like stopping power. Thank the biggest front brake rotors ever fitted to an American two-door. The enormous 16.5-inch discs look like manhole covers with six-piston Brembo calipers attached to them. Ford says these brakes are 20 percent bigger than the stoppers on the GT350, and they're the reason the GT500 wears standard 20-inch wheels (the GT350, on the other hand, sports 19s). The suspension features magnetic dampers and a new geometry, while Michelin Pilot Sport Cup 2 tires are standard. Ford will also offer a pair of optional handling packages for the GT500 – the first is called the Handling package. It adds adjustable strut tower mounts and a Gurney flap to the prominent rear spoiler. The second and far more aggressive option is the Carbon Fiber Handling package. It ditches the standard 20-inch alloys for a new style of carbon-fiber wheel that dramatically reduces unsprung weight and swaps in 11.5-inch wide rear tires in back. The standard PS2s are replaced with a custom compound developed by Michelin. In back, there’s a huge, adjustable rear spoiler in exposed carbon fiber. Finally, grabbing the CF Handling pack removes the rear seat. Regardless of which handling pack you choose, the GT500 looks like a monster. Designers went mad with the wheel arches in a bid to accommodate the 20-inch rubber. 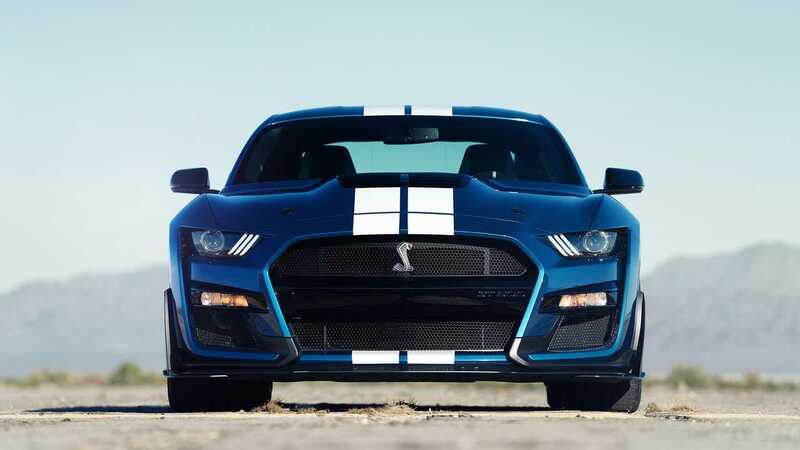 The gaping fascia has twice as many openings as the GT350 along with six heat exchangers. A prominent chin spoiler complements the aggressive diffuser and rear spoiler at the back. But our favorite features is the removable aluminum rain tray under the louvered hood – it’s there mainly to keep the shiny top of the supercharger dry. It’s a very cool touch. 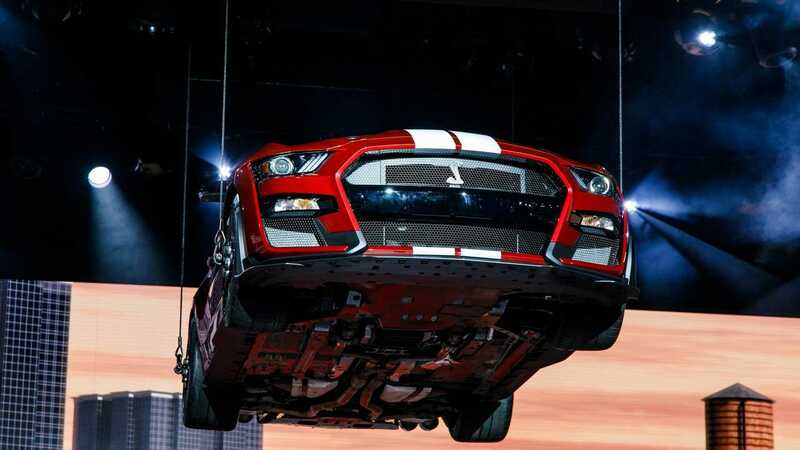 How cool the GT500 will be to drive is a different question, but one we’re eager to answer. Unfortunately, if Ford is saying final horsepower figures won’t be available until fall, then it seems unlikely that we’ll get behind the wheel before then. That said, we should expect to hear a lot more about the most powerful production Mustang in the coming weeks and months. We can’t wait.